Was there ever in the whole of Sundered Lands an island more extraordinary than Spyre? From the swampy, beast-infested jungles at the bottom, to the snowy mountain monastery at the top, the place is full of wonders…and dreadful dangers! 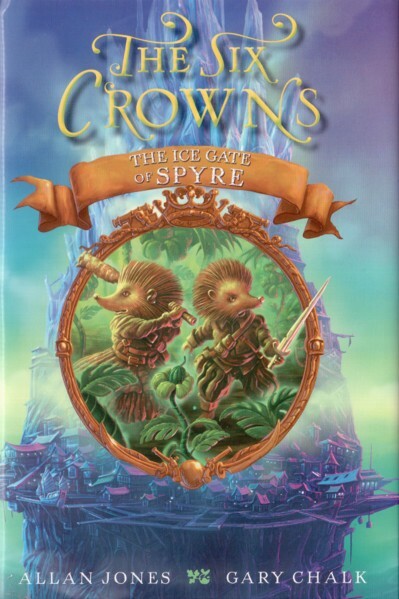 It is on the frozen peaks that Trundle, Esmeralda and Jack must search for the fourth lost crown of the Badger Lords of Old: the Crown of Ice. And as if they didn’t have enough troubles, they also have to deal with their new companion - a wild and crazy hare by the name of Ishmael March!